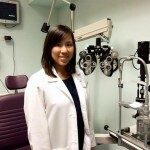 Optometrist Dr. Kathryn “Katie” Mau joined Aloha Laser Vision in 2011. She received her Bachelor of Science degree from the University of California, San Diego, and her Doctorate of Optometry from the University of California School of Optometry in Berkeley, California. After optometry school, she completed a residency in Cornea and Contact Lenses at the State University of New York College of Optometry in Manhattan. Dr. Mau has a great deal of experience working with ophthalmologists. She worked with cornea and cataract specialists at the New York Eye and Ear Infirmary, and with a glaucoma specialist in New York City. She also lived and worked in Thailand for two years, as the International Patient Care Director at the largest refractive surgery center in Southeast Asia. 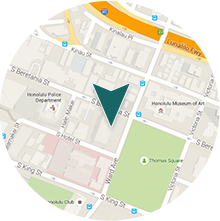 She is a member of the Hawaii Optometric Association and the American Optometric Association. Dr. Mau is excited to be a part of the Aloha Laser Vision team, providing quality care for patients and remaining on the cutting edge of technology and advancements in the field of eye care. 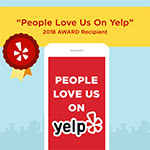 To schedule an appointment with Dr. Mau or to learn more about our practice, please contact Aloha Laser Vision today.